Wyona's sire Sheraton is a very interestingly bred Indoctro son. Indoctro has been already declared ‘Preferent’ at an early age and this speaks for itself. Calypso II, Grannus and Gotthard belong to the best sires of Germany and have sired many approved sons and international sporthorses. 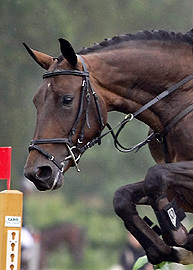 Sheraton’s Stallion Test is convincing, not only in the basic gaits, but also in jumping. He finished in second place overall and second place in jumping. 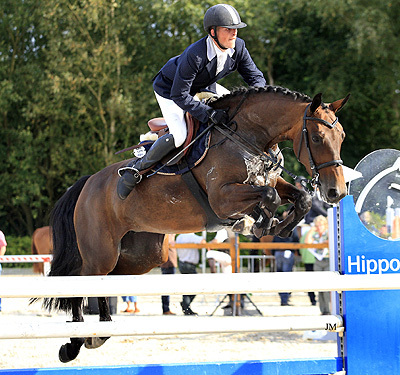 In Sport Sheraton proves himselves and he now already jumped his first 1.40 m classes, he was placed 2nd in Lamprechtshausen and 3rd in Roosendaal. The offspring of Sheraton is beautiful, shows his bloodlines and has 3 good gaits. More details about het dam Tisza des Malais here. 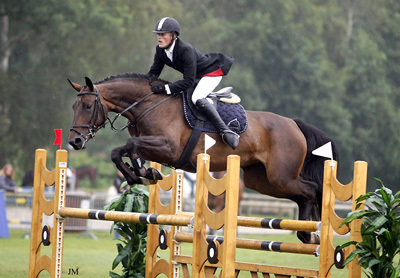 Wyona is at the moment in Holland, where she successfully works on her jumping career at 1.30m level.